STANDISH — Members of the Standish Town Council may occasionally bark at one another in disagreement, but they’re all in favor of accepting a $25,000 private grant to build a dog park. The council voted 6-0 at is Sept. 11 meeting to accept a “Bark for Your Park” grant from pet supply company PetSafe. The park would be included as part of ongoing upgrades to Standish Memorial Park on Route 35. The Tennessee-based company PetSafe – whose products include pet fences, litter boxes, bark collars and batteries – created the grant program to support the creation, maintenance or enhancement of dog parks across the country. Standish is one of eight communities receiving a $25,000 grant from PetSafe to create a new park this year, according to the company’s website. There were 120 total applicants this year for the entire grant program, and a map of grant recipients indicates that Standish is the only community in Maine to receive the funds. “Standish is the first town in the state of Maine to receive this grant,” said Parks and Recreation Director Jen DeRice. 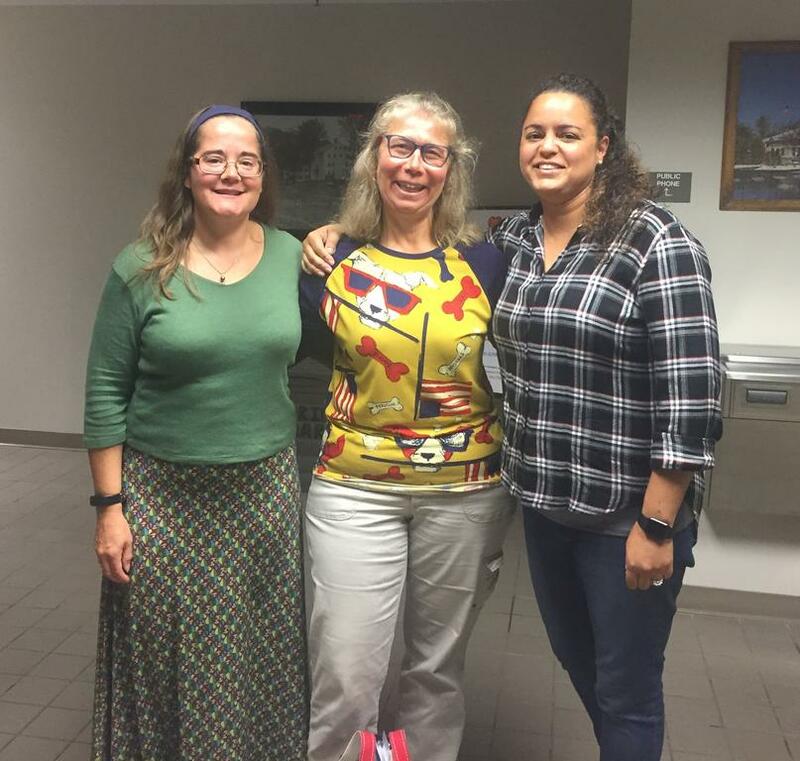 The push for a dog park has thus far been led by an informal group of residents, including Sandra Boutin, Jean Falkner and April Allen, who addressed the council Tuesday night. Boutin has been credited for jump-starting the social media effort behind the park, and Falkner took the lead on submitting the grant application. DeRice sent a letter of support for the grant application. Under the “Bark for Your Park” program, communities receiving a grant must meet several requirements including that the park be open to the general public for free, provide a budget and design for the park, use the funds within three years, and permanently feature the PetSafe brand and logo on all park-related materials. The council voted in August to create an ad hoc dog park committee, but its membership has not been finalized. Falkner said the details about rules for the park, its design and costs will be ironed out by the committee. Council members congratulated the group for securing the grant. “I haven’t even gotten the ad hoc committee fully established for the dog park and here we already have a grant,” said Council Chairman Steven Nesbitt. “You’ve done a fantastic job so far,” he added. “Ladies, congratulations – this is a big deal. Very, very well done,” added Councilor Greg Sirpis. Memorial Park is already slated for a new playground after town voters approved $18,000 in this year’s election to accompany a more than $53,000 grant. That approved funding did not apply to a dog park, DeRice said previously, but early plans for the park upgrade included about three-quarters of an acre for a dog park. She estimated this summer that the dog park group would need to raise about $20,000 for fencing, a concrete platform at the entrance, a double gate and a water source for the dogs. “Basically, to get it open, I’d say we’re good now,” Boutin said about the grant covering initial costs to open the dog park. DeRice said the town is waiting on approval from the Maine Department of Environmental Protection to start the next phase of the Memorial Park project, and hopes the dog park can be put in next spring or summer following or as part of the playground installation. “pawsta” dinner and raffle at the Standish Municipal Building on Nov. 2. Nesbitt said Councilor Michael Declourt is ready to serve as council liaison to the dog park committee once the official group gets up and running. “My puppy is excited,” Delcourt said with a smile Tuesday night. Standish residents Jean Falkner, left, Sandra Boutin and April Allen are helping lead an effort to build a dog park in town.